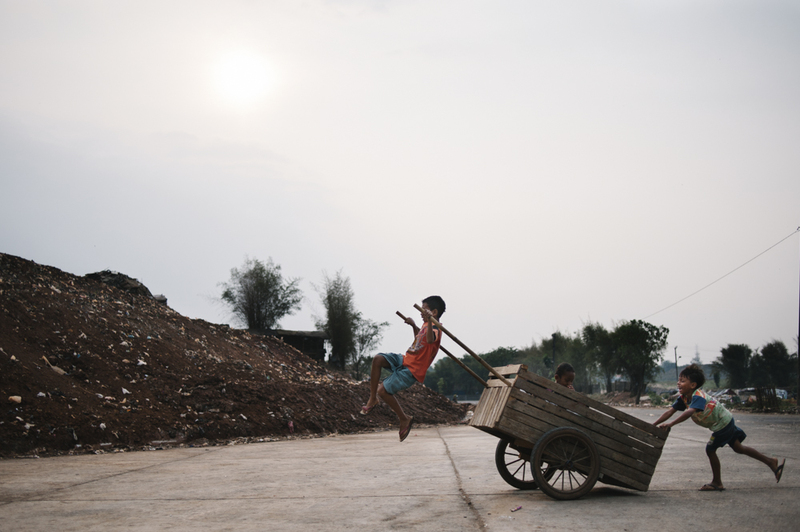 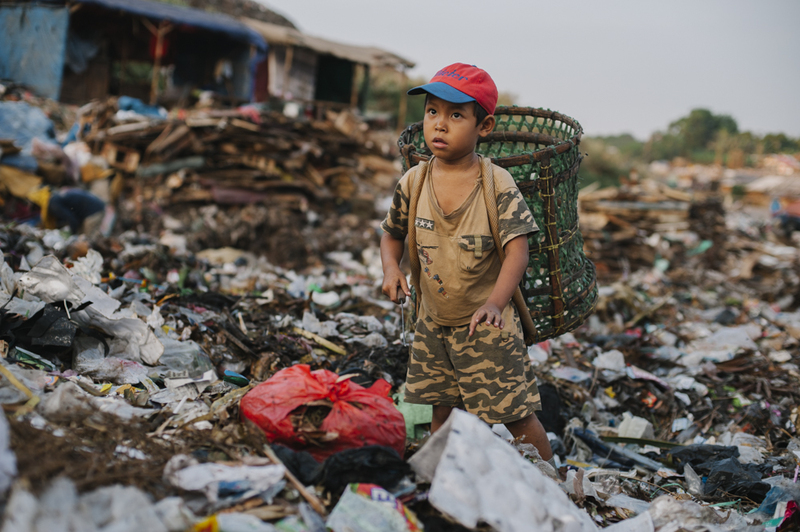 Bantar Gebang is the biggest garbage landfill in Indonesia, the world’s fourth most populated country. 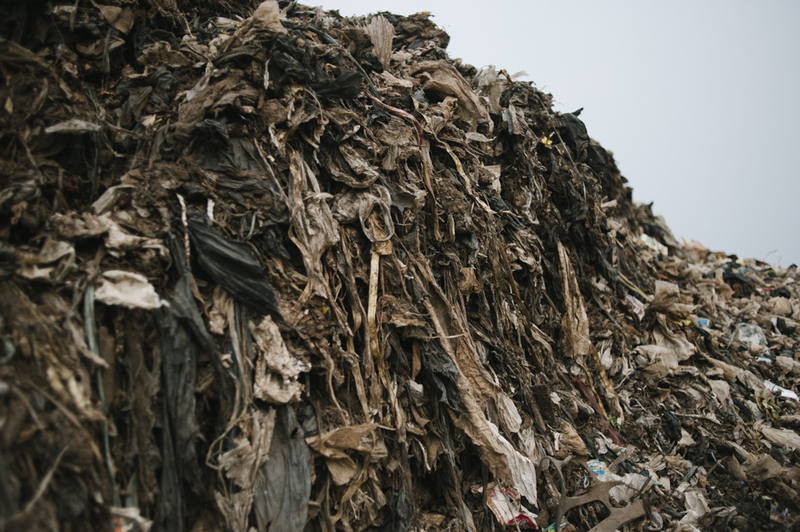 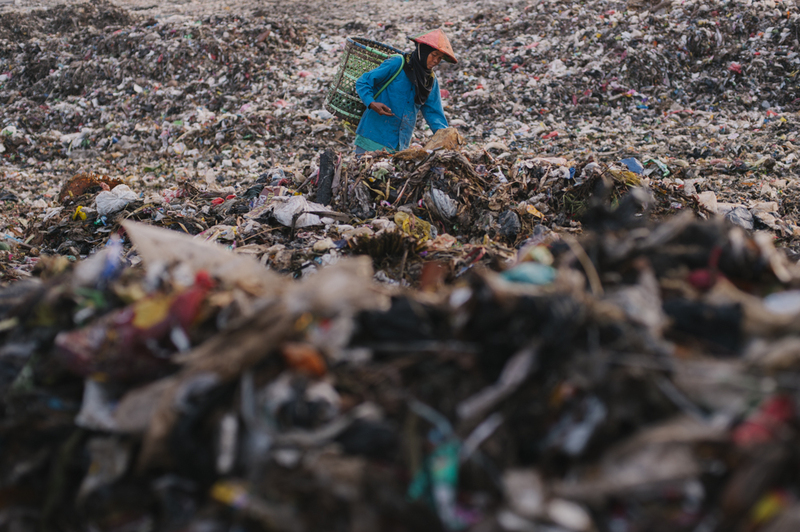 The smell of garbage reaches kilometres far from the site. 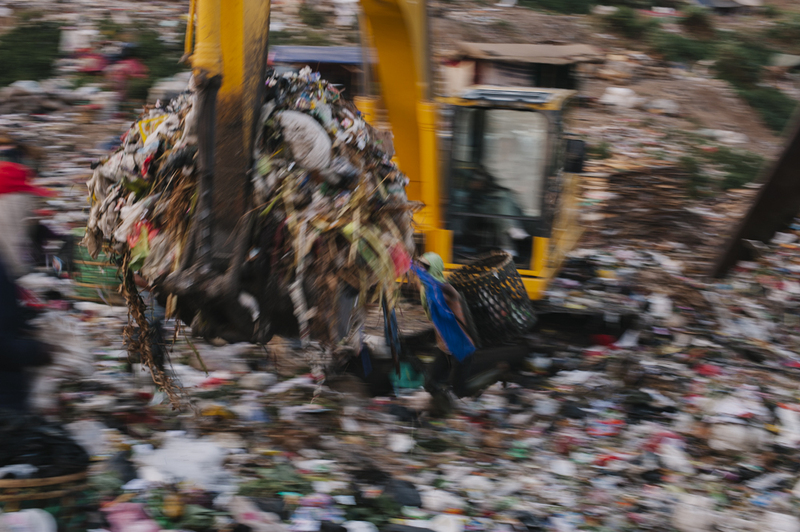 Not long ago as you approached the village you would be welcomed by friendly farmers and laughing children, but now magnificent eight stories tall mountains of garbage guard the entrance. 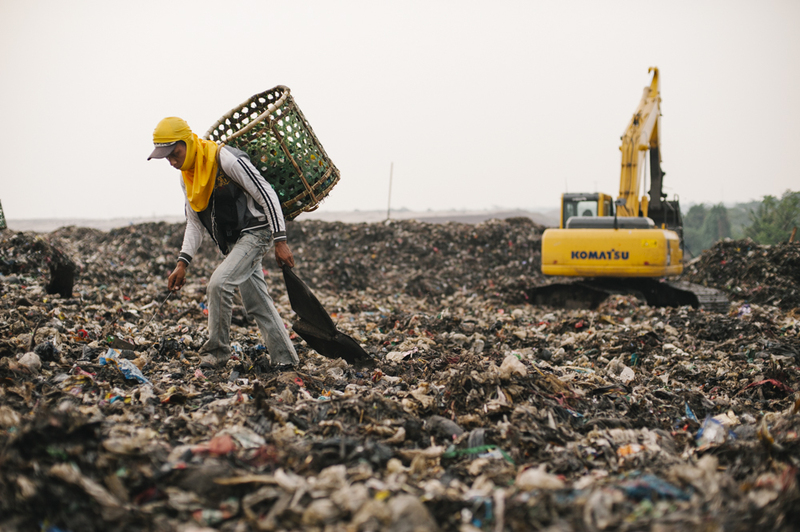 For the past twenty five years over six thousand tons of garbage from Jakarta have been piled up on top of what used to be paddy fields. 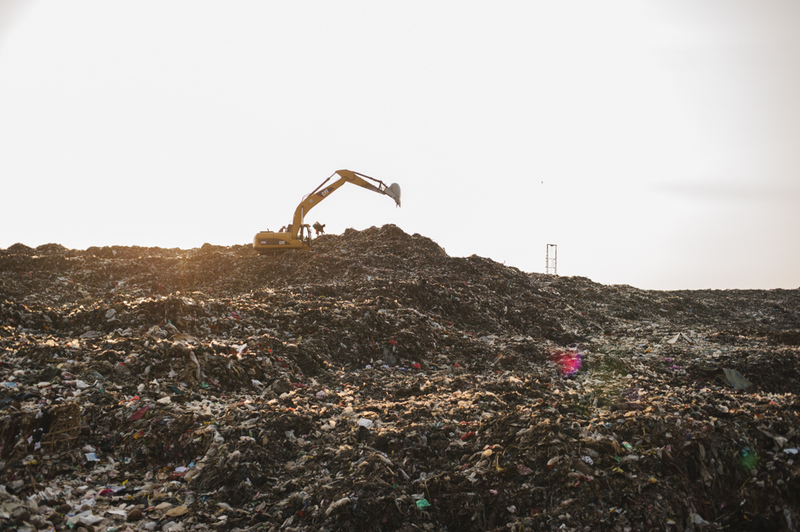 This massive pile of garbage feeds cockroaches, rats, birds, goats and over two thousand families. 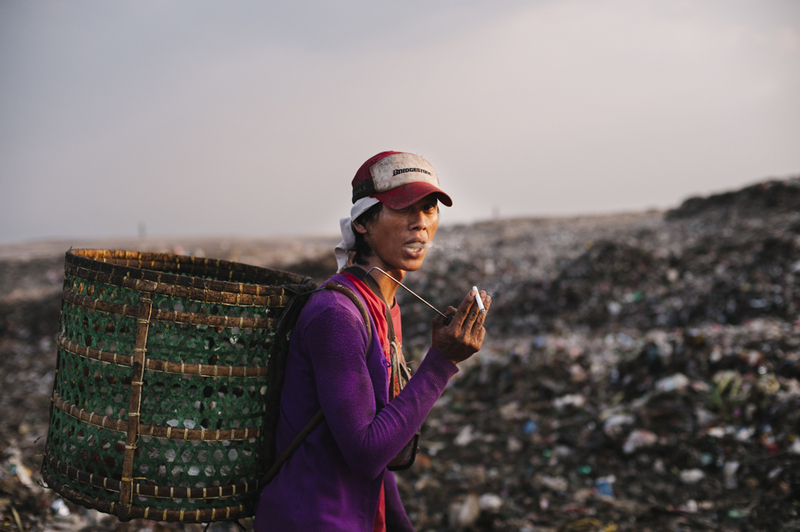 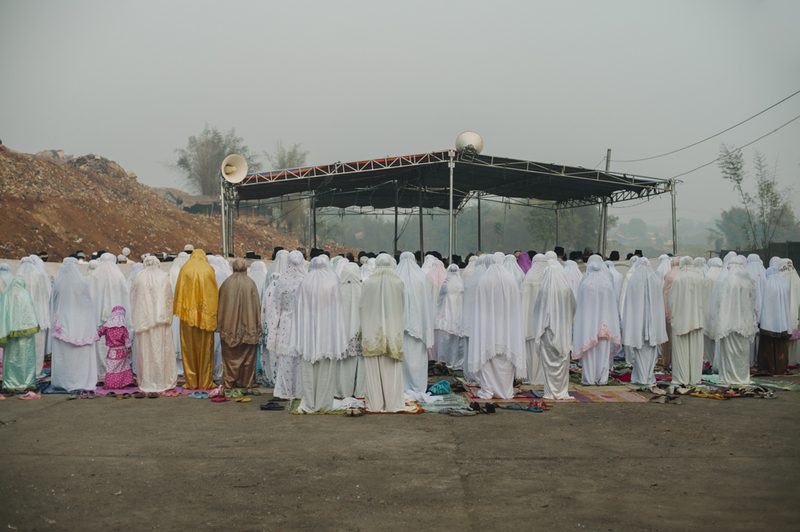 Women and men of all ages shift to Bantar Gebang from all over Indonesia in search of a job and keep the mountains alive every hour of every day. 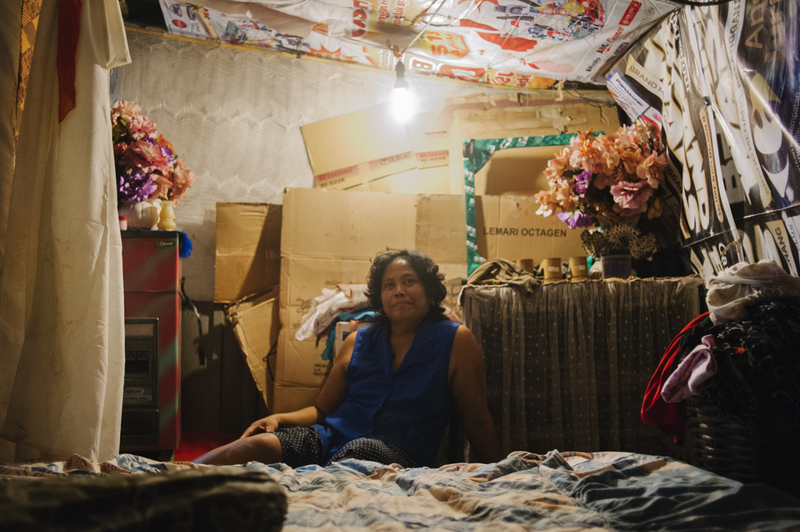 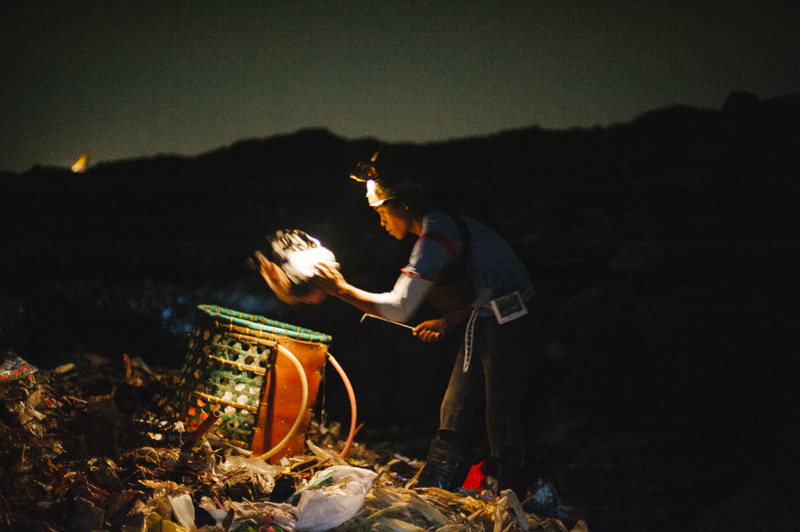 They scavenge recyclables, build their homes & at times pick a snack or a gift from the pile. 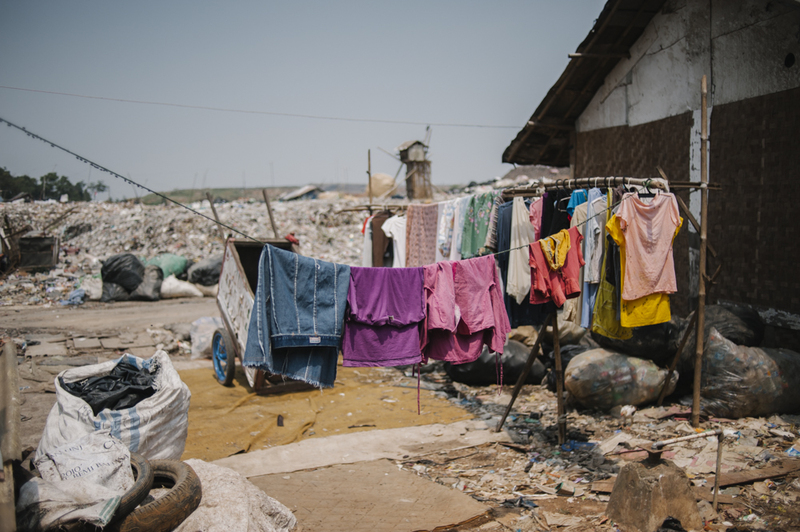 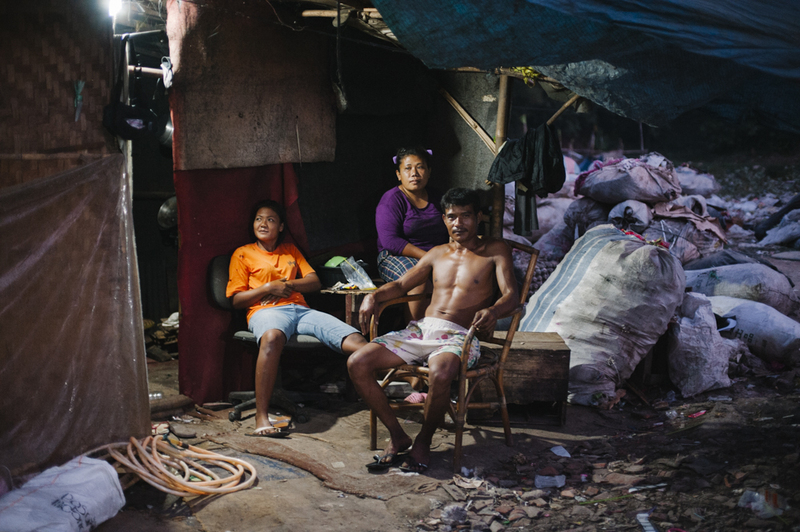 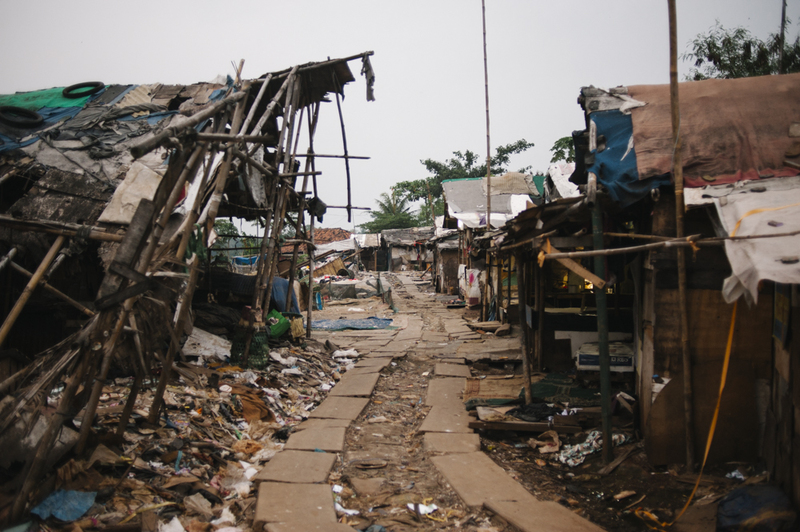 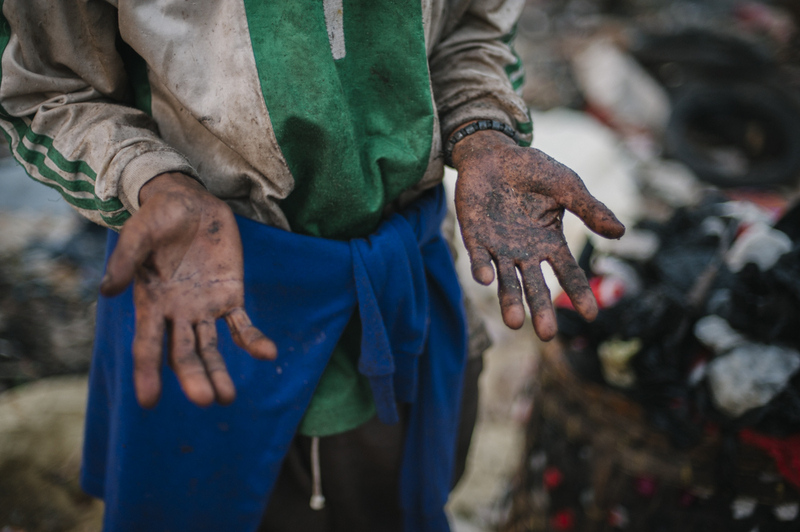 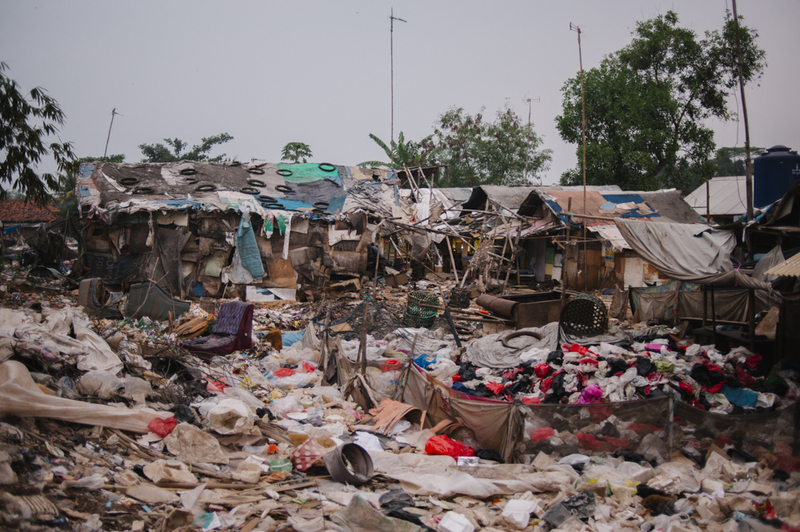 Despite the unimaginable living conditions, the residents of bantar gebang embrace their environment. 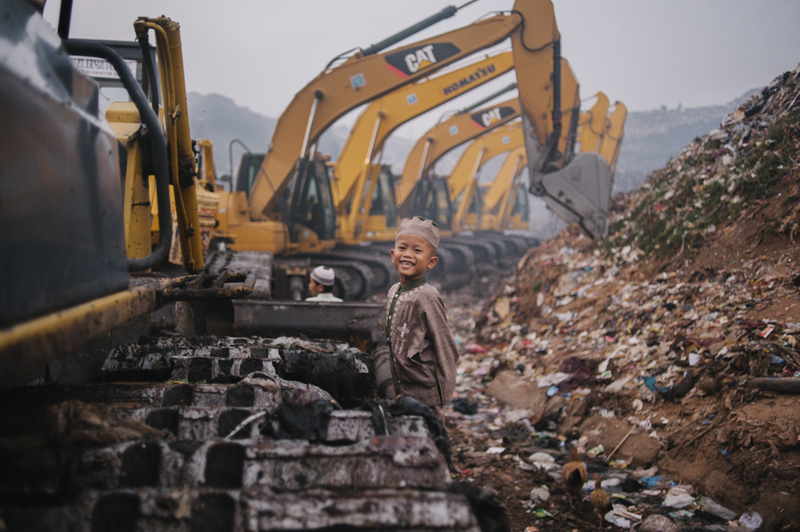 To them what rapidly developing Jakarta creates as an urban waste is a playground, a school, a mosque and most importantly a home.